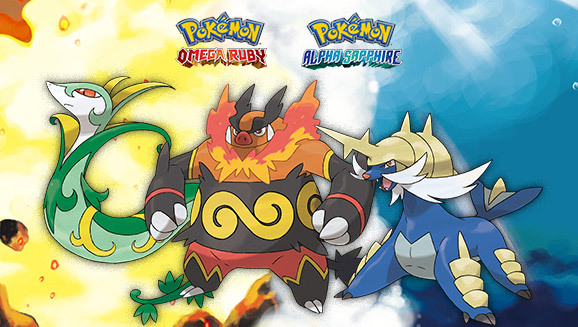 Codes for all three of the Unova starter evolutions Serperior, Emobar, and Samurott have now been distributed and can be redeemed by Pokémon trainers in the U.S. on Omega Ruby or Alpha Sapphire. All three of the Pokémon are Level 50 and have a Hidden Ability. The codes can be redeemed until November 30, 2015. Hit the jump to see the codes and how to redeem your new Pokémon! 5. Pick up your new Pokémon from the delivery lady at any Pokémon Center!